It doesn’t matter if your ingrown toenails were caused by improper trimming or shoes that are a little too tight, ingrown toenails are painful, and when left untreated, can cause chronic issues. 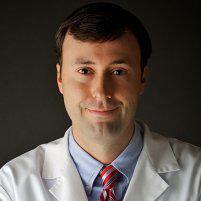 Joe Griffin, DPM, CWSP, FAPWCA, is a podiatrist who can eliminate your ingrown toenails with same day, in office surgery. If you live in Baldwin county, visit the Coastal Foot Center in Daphne, Alabama. Call the office today to schedule your appointment or book it conveniently online now. Ingrown toenails occur when the corner or side of your toenail digs into your skin. That often leads to an infection and can cause a significant amount of pain. When an ingrown toenail first forms, it may be hard, swollen, or tender. As it progresses, it may show signs of infection, including becoming red and sore. If left untreated, ingrown toenails can lead to skin growing over your ingrown toenail. Some people may be more prone to developing ingrown toenails due to hereditary factors or poor foot structure. If your ingrown toenail is showing signs of infection, such as being red or swollen, Dr. Griffin may prescribe an antibiotic. If your ingrown toenail is severe, or if you’ve attempted home remedies with no relief, Dr. Griffin may need to remove part of it surgically. What is partial nail plate avulsion? First, Dr. Griffin administers an anesthetic. Once your toe is numb, he cuts out the ingrown part of your toenail, relieving the pressure and pain it causes. This procedure is done right at the Coastal Foot Center and doesn’t require visiting a hospital or outpatient facility. The procedure requires at least one additional appointment for post-op care. What is partial phenol matrixectomy? More commonly, Dr. Griffin may perform a partial phenol matrixectomy. During this procedure, he not only removes the edge of your toenail that’s growing into your flesh, but he applies phenol to the matrix (root) of the nail, cauterizing it. This permanently destroys the area of toenail that grows into the skin. Like a partial nail plate avulsion, this is an in-office procedure that Dr. Griffin does under local anesthesia. If ingrown toenails are causing you pain, seek the help of a professional. Contact board-certified podiatrist, Dr. Griffin, today to schedule your initial consultation. Call to book your appointment or do it easily online.